Cassidy is an Upstate native and Clemson alum (Go Tigers!) who recently relocated back to the area from Virginia. After completing her OT degree at Shenandoah University in Winchester, she moved to Richmond to work in a private school setting serving students with Autism diagnoses accompanied by intellectual disabilities/behavioral disorders. Cassidy married her husband, Rob, while living in Richmond, and they went back to school together for evening MBAs at the University of Richmond. 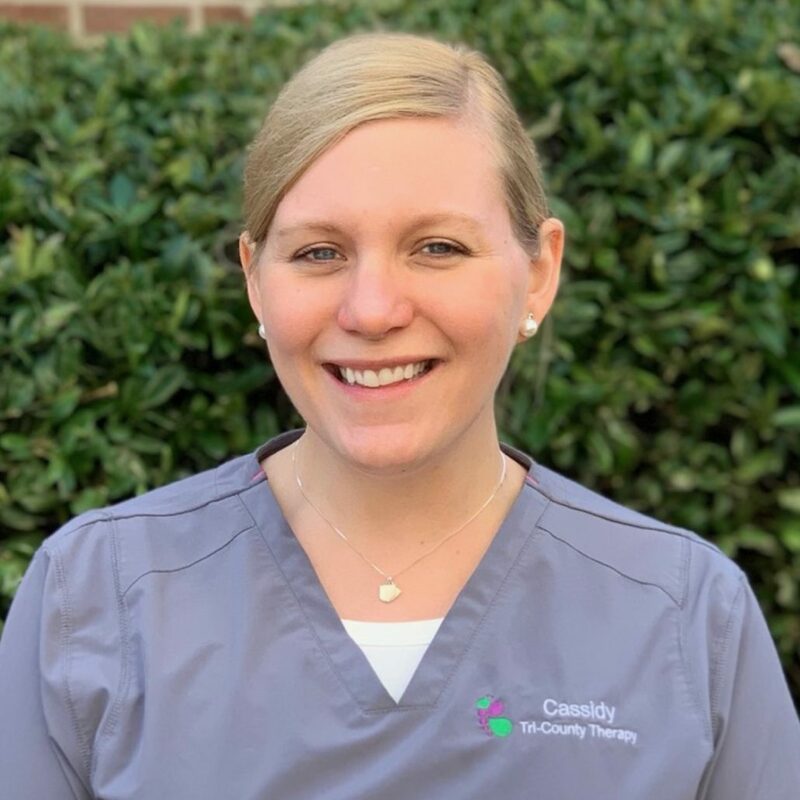 Cassidy is a member of AOTA and licensed by NBCOT. She is trained in behavioral de-escalation and crisis management, including Ukeru Systems and trauma-informed care. She is experienced in working with children with conduct disorders, oppositional defiance disorders, psychoses, and impulse control disorders. In her spare time, Cassidy enjoys trying local restaurants, snow skiing, an d spending time at home with her husband, their daughter Colleen, and their rescue dogs, Jackie and Dodger.